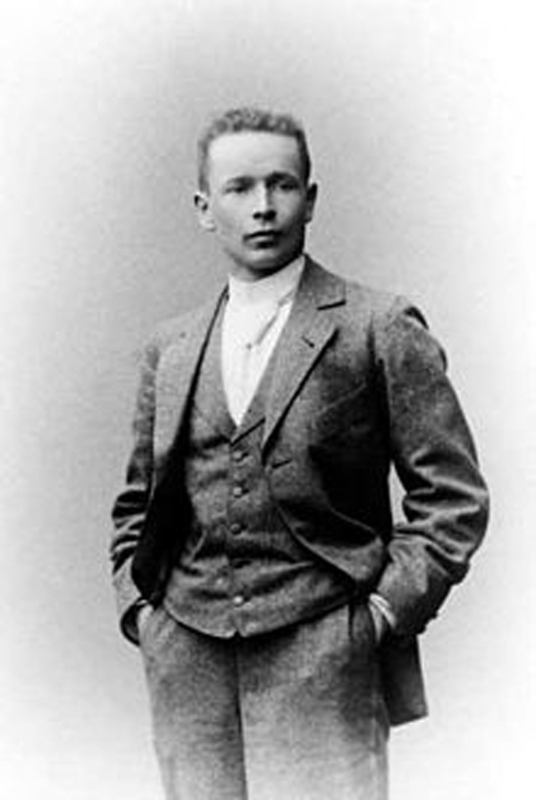 Gottlieb Eliel Saarinen (August 20, 1873 – July 1, 1950) was a Finnish architect who became famous for his art nouveau buildings in the early years of the 20th century. He was Eero Saarinen's father. Saarinen grauated rom the Helsinki University of Technology and worked as a partner with Herman Gesellius and Armas Lindgren at the firm of Gesellius, Lindgren and Saarinen, building the Finnish Pavillion at the World's Fair of 1900. Saarninen's designs were later named "Finnish National Romanticism". Between 1902 and 1912 he was a co-designer of the Fennia Series of pottery produced by Arabia. He moved to the United States in 1923 and settled in Evanston, Illinois where he contributed much to the design of the Chicago Lakefront. In 1924 he became a "visiting" professor at the University of Michigan. In 1925 George Gough Booth asked him to design the campus of Cranbrook Educational Community, intended as an American equivalent to theBauhaus. Saarinen taught there and became president of the Cranbrook Academy of Art in 1932. Among his student-collaborators were Ray Eames(then Ray Kaiser) and Charles Eames; Saarinen influenced their subsequent furniture design. He became a professor in the University of Michigan's Architecture Department; today a professorship at Michigan's A. Alfred Taubman College of Architecture and Urban Planning is named for him, and the College holds an annual lecture series in his honor. His son, Eero (1910–1961), became one of the most important American architects of the mid-20th century, as one of the leaders of the International style. Saarinen's student Edmund N. Baconachieved national prominence as Executive Director of the Philadelphia City Planning Commission from 1949 to 1970. He received the AIA Gold Medal in 1947.